Gili Lankanfushi: Our guests on CoralWatch! Every sunday we organise complimentary marine biology awareness events for our guests, including ProjectAWARE Dive Against Debris, FishWatch and CoralWatch. Yesterday a family from villa 34 joined us for Coral Watch. This activity gives our guests a better understanding of what a coral actually is and how fragile and vulnerable these animals are. 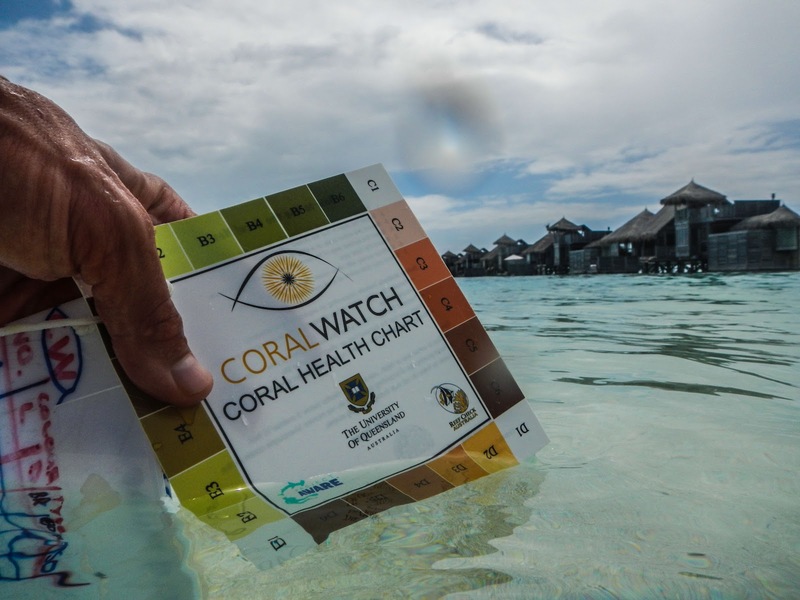 Also guests get to understand what is coral bleaching and how everyone can monitor coral health in a very easy way. 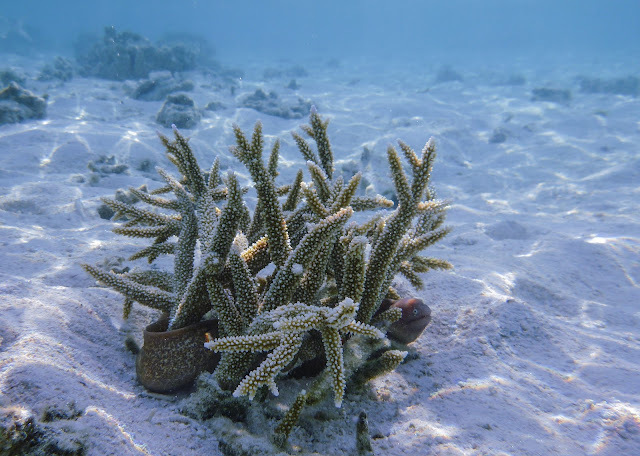 The guests surveyed 21 coral colonies on the eastern side of our island (the reef flat that's facing the open Indian Ocean), and we have submitted this data to the CoralWatch website click here to see the results.